Meditation has been a part of my mornings for years now. But it likely doesn't look like what people would expect. Some days it's sitting still with my eyes closed and focusing on one thought, or one verse. But many days it's very different. It is a distinctively human trait to stop and consider, to chew on something with the teeth of our minds and hearts, to roll some reality around in our thoughts and press it deeply into our feelings, to look from different angles and seek to get a better sense of its significance. The word feedeth meditation, and meditation feedeth prayer. . . . Meditation must follow hearing and precede prayer. . . . What we take in by the word we digest by meditation and let out by prayer. I love thinking of meditation in this sense. More than emptying my mind, I see my morning time consisting of multiple activities that are meditative. I can move between them all, flowing from one to another as I’m led (whether by my thoughts or by his Spirit). But it’s one whole, these morning devotions, and the end result is (hopefully) peace, resolve, and a better sense of direction for the day ahead. I have never tracked my morning times. I’ve consistently made space for it over the years and have been noting whether I do indeed spend any time in morning devotions each day. But how much? Never. However, I've used meditation as one of my primary goals in Gyroscope each week. And it was one goal where I often fell short. Mostly because I only timed myself in the act of just sitting and clearing my mind in order to focus on one thing. Call it contemplative prayer, if you will. But Oak has changed that for me. If you haven’t heard of it, Oak is a new meditation app for iOS from Kevin Rose. And it’s been a great addition to my homescreen. It’s a simple app. It has 3 main sections: meditation, breathing, and wisdom. The latter is simply a few audio clips and I’ve not checked them out at all. But the meditation feature is good. You can conduct unguided, manual sessions or use “mindful” sessions where you have a voice guiding you (similar to Headspace). Back to the meditation in a bit. 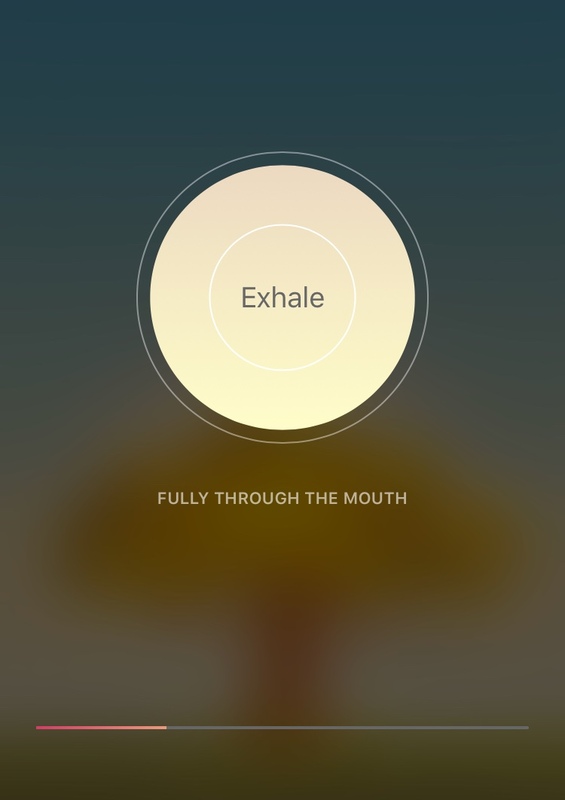 What I really like about the app is the breathing section. It has 3 types of exercises that take you through a series of inhaling, holding, and exhaling breath. This is a fantastic feature that helps you gain some clarity in those moments when you don’t have time to sit in solitude and silence and focus for even 5 minutes. But a couple of minutes of focusing on your breathing can do wonders. What’s more, I’ll even start my morning devotions with one of these breathing exercises. It’s a great way to start. Then I begin an unguided meditation session, put the phone aside, and dig in. I might start with a short prayer asking the Spirit to guide my time, then read my Scripture passages for the day. From there I might spend time praying for specific needs, digging into a topic that caught my attention, or just reflecting and pondering on a passage that resonated. It’s this last one that is the most enjoyable and results, as Manton and the Puritans observed, in the most heartfelt prayers and most intimate communion. As for the app, Oak has been a help. But it adds your activities directly to the Health app, which in turn is pulled into Gyroscope. My total meditation times have been higher than ever. Yes, it’s a bit of gamification. But this awareness, plus the idea that I can just sit and breath for 2 minutes, has me opening the app during the middle of the day, or as I sit in bed reflecting on the day past. If technology can help with that, I’ll take it!